Over four Olympic cycles (2000, 2004, 2008, 2012) the 49er evolved into a finely tuned boat that is nicely balanced in all conditions with a rig that is able to be adjusted for best performance in each windspeed and sea state. The FX has the benefit of this evolution as well as new developments in skiff rig design to achieve a great set up very quickly. Starting with the 49er hull, wings, and foils, the goal was all about designing a rig that would go straight into the existing 49er boats and provide the correct amount of power for the lighter crew target weight specified by World Sailing. 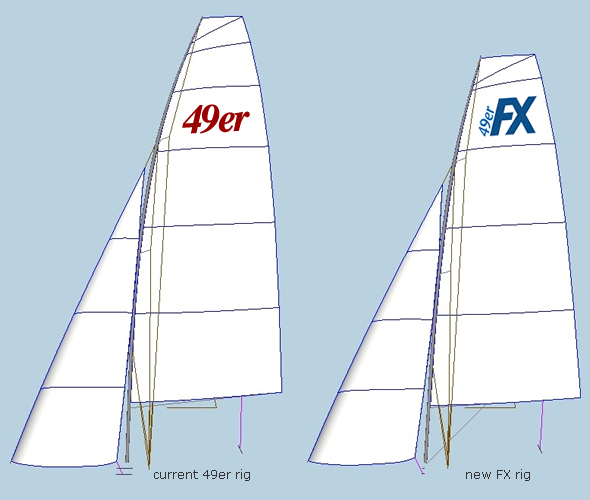 It is easy to run joint training and racing with both the 49er and 49erFX. There is very little difference in performance between the 2 boats. Media and spectators already love the 49erFX. The women’s skiff event in the 49erFX has the potential to be one of the glamour events of the entire Olympics. The boat was finally selected at the ISAF mid-year conderence in early May and will be used for the 2016 Olympics in Brazil. Further refinements were made over many hours of 2 boats testing. Details have been fine tuned things like jib battens, sail corner reinforcement, jib sheeting angles and establishing base rig settings in a range of conditions. The results from this have been included in the sails which are made by North Sails in Sri Lanka. A key feature is how much the 49erFX rig depowers. It’s very cool to watch it in action in 20-25 knots! 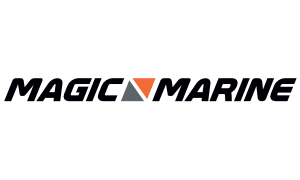 You can see this in action on our heavy air YouTube clip. Another big positive is the downwind performance. In the 49er you get to the point where you bear away so much that the spinnaker begins to collapse from the back. This does not happen in the FX. The spinnaker is much flatter and flies further off the boat. The girls at 125kg can push it hard in 25 knots and were slightly faster than the guys. The dynamics of the rig are such that the bow lifts a lot more than the 49er and it’s much harder to nosedive. They can send it through the waves with much more confidence. The guys commented that the FX is much easier to bear away than the 49er. If you want to follow along with all the action from the worlds best 49erFX sailors, sign up to keep in touch!